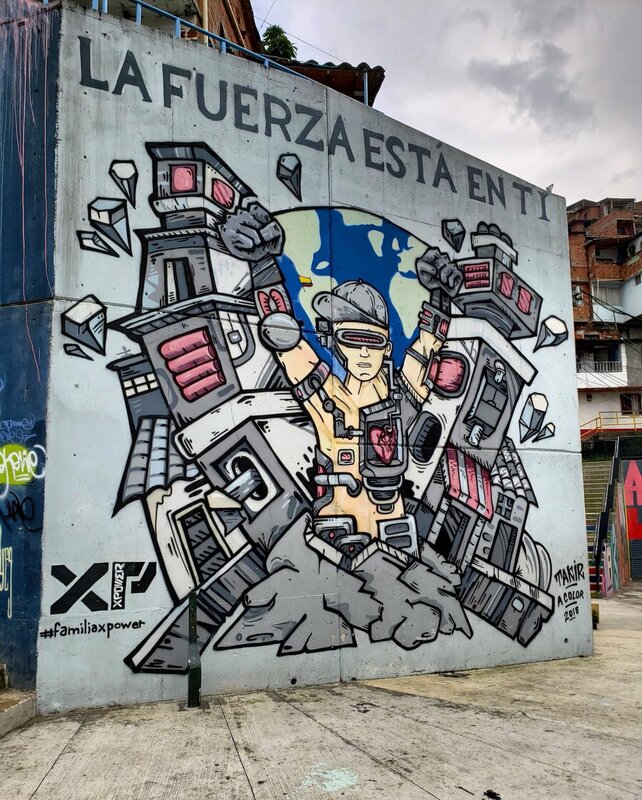 In November 2018, Mural Map LA creator Chelsea Byers visited Medellin, Colombia. 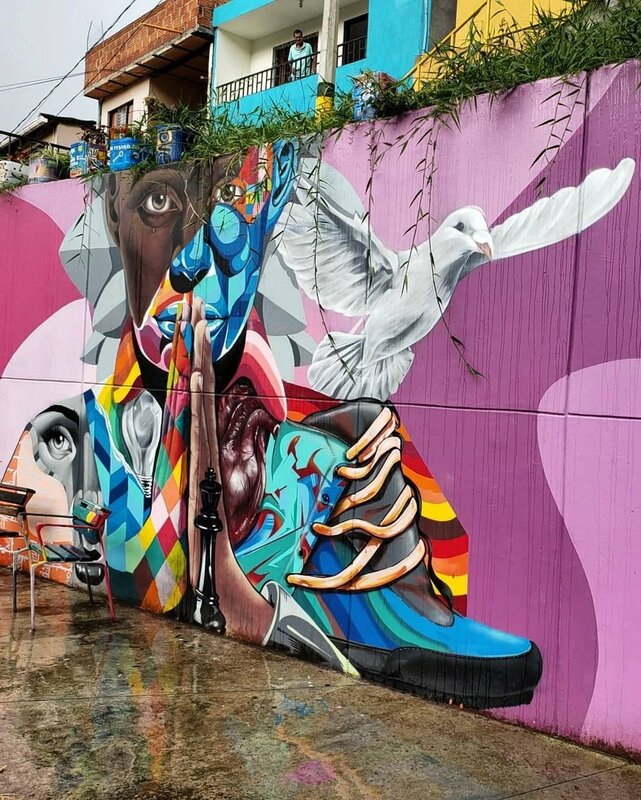 Once the “Most Dangerous City in the World,” Medellin has been transformed by artwork and public transportation, bringing great hope and opportunity for all communities. In the 6 day trip, Chelsea walked many miles across the city and found dozens of murals. The highlight of the trip was a visit to Comuna 13, a neighborhood that built a series of escalators through the winding hillside and brought with it, a public street art gallery that is ever unfolding! Medellin is situated within a valley surrounded by many mountains and hills. The Cable Cars created greater access to the hillside communities and gave residents much-needed transportation to navigate their daily lives. 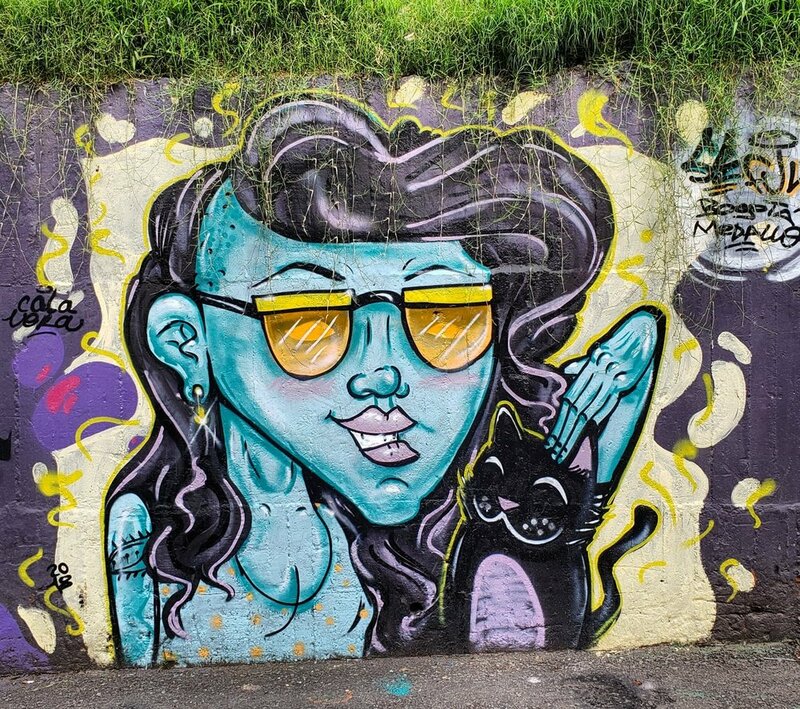 Aside from Comuna 13, public art and murals thrived throughout the rest of Medellin. There were full boulevards and streets lined with murals. 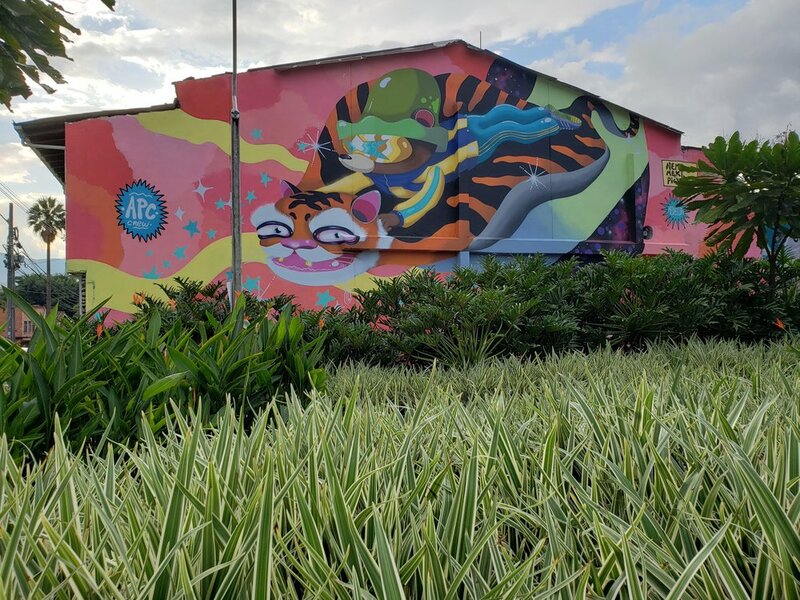 Underpasses and freeway pillars were adorned with curated mural work. Even the hotel we stayed at, The Charlee, had murals lining the staircases, parking garage, and outside alongside the 14 story tower!